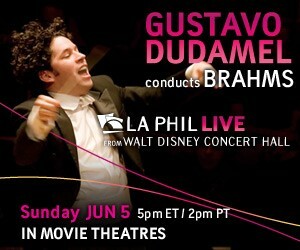 The Dude conducts Brahms with the LA Phil live at Disney Hall — Soon showing at your nearest theater! Point is, Movie Theaters are now showing Classical Music. And doing well enough in this format to take a screen away from a potential, so-called, popular medium like a film, for at least a day. Which, to be fair, fits into the Blockbuster event mentality that has so permeated the Cinematic Industry (and which propels its slowly failing business model). The other point is, this can only hurt local classical musicians in the long run. And it’s a theme I’ve been blogging about with respects to ethnic minorities and their entertainment choices–since they can’t get the entertainment they want, and have to turn to other media outlets to satisfy that desire (e.g. Cable or Satellite TV, the Internet) this lessens their involvement and support of live performing arts (on top of the lessened civic activity) local to them as Waldfogel’s research is demonstrating. What about preference minorities whose preference is classical music? Will an opportunity to regularly see (albeit in webcast or live HD cast) the LA Phil or the Berlin Phil (at a fraction of the cost for a live Orchestra ticket, no less) affect the frequency a fan of classical music will, say, go out to see the Louisville Orchestra? It’s a sad paradox that high Classical Music (Globally accessible in Movie Theaters) might be the death of Classical Musical [locally] but maybe now is a great time for, say, the Louisville Orchestra to re-visit one of those things that made it a(n internationally) unique force in Classical Music with the initiative that transformed it into an epicenter for contemporary composers’ works for several decades. This is another reason I think far too many folks who think re-invigorating Orchestras through bringing in popular culture elements into the concert hall is a doomed prospect, or at least a holding measure–because eventually once enough orchestras are doing that, and then we have those few that can afford to live cast it, it’s the same issue all over again. I think there are better, and more local, ways for orchestras to get re-invigorated. How can it be good if it’s just more automated drama from NYCity? How does that develop local talent and local identity? The churches do that and for free. If you had a nationwide network of generic quad chamber theaters with world class technology nationwide, you could have local repertory that was bought in New York and and the technology designed and digitized for the local theatrical instrument in the National Art Centers. Locals could make a yearly holiday to New York or the West Coast to buy digitized programs with lighting, scenery, stage directions and other design elements mass produced. Local designers and directors could submit productions to the home office that could then be selected for marketing across the nation by quality. The ensembles would be local. A small version of this is David Friedman and his Broadway show “King Island Christmas.” They made a King Island Christmas corporation and have many productions of the single show running at Christmas time across the nation. The set is generic, the lighting computerized, the stage directions coordinated with the lights and set and the ensembles are all local including the orchestra. Stella Entertainments does a similar thing with 70 different productions running across Europe at one time. In this case the generic theaters would reduce costs in sets and lighting design making the large cost for live ensemble more affordable. The same Music Center idea with four chamber theaters could interface with local colleges as an apprentice program, train choir members for the thousands of churches across the country and generally support the artistic goals of the community through performer multi-tasking at performance, teaching and community outreach. An occasional star would strengthen the community rather than patronizing them as often happens today. Live performers interact and dialogue with live audiences. Otherwise we could just watch the Met performances from the “late” theater downstairs where we can see the stars up close but miss the point of Per-form-ance. Got to go. Thanks for allowing me to comment on your blog. It was fun. I wish you well. You have a great blog. Thanks for responding and the kind words my blog, Digoweli. I think the musicians of the LA Phil are aware of the difficulities they are putting on the local Orchestras with this livecast initiative. I started a thread at the cello chat forum where at least one member of the La Phil cello section regularly posts and he has said as much here: ( http://cellofun.yuku.com/topic/12397/Classical-Music-is-killing-the-Film-Industry). The idea of having orchestras tour or travel to do outreach could be greatly expanded with digital media, obviously as that would be a way to get past the issue of using in house ticket sales for revenue. I suspect, as I and Zambo said in the thread that once technology becomes affordable and the set-up costs of ditigal streaming and recording becomes low enough more and more organizations will be doing this anyway. Which just gets us into the problem of content again–once all orchestral concerts become available for anyone at a practically global level, then you’ll have the smaller orchestras competing with the top tier orchestras. And what’s the chance that folks will choose to see, say, the Louisville orchestra doing Beethoven when they can see the Berlin Phil or Chigaoc Symphony or the La Phil do the same? Orchestras will be forced to find some way of doing something unique in the end, and I think, also as I said in the thread above, that the way for, say, the Louisville Orchestra to do that is to really re-invest in the thing that had made them a unique and respected force in the Classical world in the past–their commitment to commissioning and recording contemporary music! That’s a win/win for the Orchestra as well as living composers. The resources (outside of the digital technology set-up costs) are already there, and I think there’s no time like the present for the organization to push to get the rights to the old “First Edition” recordings again to start digital distribution of so many works that still have yet to be recorded, much less just having the premiere recordings of so many large scale works available again. Anyway, I’ve got a packed day today and will come back to this and some of the other points you’ve raised later tonight. Thank you for your comments! I agree, there is ultimately no substitute for a live performance! At the same time there’s the reality that for many more folks experiencing something through digital media is a reality and probably a far more accessible (and affordable) medium. I don’t think we can underestimate how much the televised appearances of Stokowski, Toscanini, the NBC Orchestra and Berstein and the New York Phil had little to do with exposing so many more folks to Classical Music during those decades from the 40s-60s helped with the phenomenal growth of US Symphonies (obviously the Ford and Rockefeller funding didn’t hurt either). Until we have that kind of cultural commitment to this particular artform again, our best bet may be to find and use the cheaper current technologies to help bring that exposure and education to a wider public, I think. In the end, what the LA Phil, Met Opera, and Berlin Phil are doing is just one step for helping to sustain the audiences, if not actually draw in more because of the tie to the Movie Industry, though this will, in the end, likely harm the local groups to an extent–we can only hope that maybe enough folks will again start to get interested in seeing this music live and then support their local organizations. I’m not particularly optimistic that this will do that, per se, but not taking advantage of these new media outlets is sure to not help the field in general. Let’s just hope that the local organizations can eventually take advantage of these new media before it takes advantage of them! Toscanini had great reservations about recording. So great that he decided it was another art form all together. One that created a record of the very best version of a score he could imagine as a legacy basically for education. If you want the most artistic recording of his Falstaff don’t look to the studio version. Look to the live recordings of his Swiss performances. But that is very different from using TV, movies and recordings as substitutes for live performance. The fear that he and the great pianist Leopold Godowsky had was that it would substitute for live performance and the kill the art. Rachmaninoff said the same. It did. There was a huge decline after 1929 from which Godowsky and others never recovered and died bitter. Automation always does kill the labor force because automation is cheap. I would argue that the American audience didn’t need Bernstein’s lectures. I didn’t and I grew up in the Quapaw Nation in Oklahoma. My piano teacher taught the Godowsky and Hutcheson systems from Juilliard and we had excellent bands and orchestras. In high school I studied voice with Dame Eva Turner and the prima ballerina Moscelyn Larkin grew up ten miles away, Burl Lane contra-bassonist for the Chicago Symphony was in the class ahead of me in Picher High School. If you can have that much performing art on an Indian Reservation school how could Bernstein’s lectures about the musical interval of a third be interesting at all. It just made us wonder what had happened to music courses in NYCity. However today, none of that is true. The music schools are commercial and automation has made the average audience member less knowledgeable about their deep culture. Deep culture has to be practiced or it is lost. That’s my opinion. PS why did the comments on Tony’s blog dry up so quickly? I gave my time and experience but everyone except for yourself walked away. They will find out the truth of what I’m saying. That’s the problem–what the experts say isn’t going to matter to the folks who are their audience (much). Expert opinion isn’t working for all the Orchestra’s who want to keep their mission statement along the lines of “high quality music presentations” as the way to go for bringing in new audiences, so why would audiences care much if they say “live performances are the way to go?” I sympathize and empathize with the live performance ethic, but today’s audiences are just as used to seeing streamed, pay-per-view, and other non direct experiences as they are live performances. In some cases, they are even more used to it. With home theater technology to the point that folks can create a “live theatre experience” in their basements or other dedicated rooms for this purpose, many folks are waiting for DVD releases to play the movies they would normally see in the theater, so they can show it on their own giant flat screens and digital projectors in their home theaters. If folks are more willing to wait for DVDs of movie in a media that is specifically designed for the big screen, what’s the likelihood of them going to a live show when they can see one streamed, usually for less money, and also with the added benefit of having popcorn and drinks? We, unfortunately can’t change the entertainment habits of folks as a whole, but we can try to meet them at least half way. Obviously, this is going to be to the detriment of the local live bands, but as I’ve said, i think that’s all the more reason for the local organizations to develop programming that wouldn’t compete with what would otherwise be top notch performances (streamed, of course) by world class ensembles. Yes, a strong amateur culture is most definitely something we no longer have. Ironically minimalism, in music, was probably the most successful of the modernist styles–unlike what happened with minimalism in art, which from a commercial/economic standpoint was the least profitable of the modernist art styles. Kinda agree with you on Marsalas–here is someone with great potential to invigorate a field, but sticks to the same ol’ same ol’. I’m cautiously optimistic, but only because I see and appreciate the potential of great art music well outside of the Western tradition which is actually growing. I’m not particularly concerned whether one Art Music tradition is declining (which I think is an overstatement about Western Classical music) if only because I’m not so entirely invested in such a narrow view of what constitutes high art in music. Listening to an Indian Raga master, or an Ottoman fasli or Arabic firqa, or traditional Chinese Orchestra, or Thai piphat ensemble, or Indonesian Gamelan–there’s a whole world of high level artistic creations for me to be too worried that one might be lagging a bit culturally. The big problem with the movie industry is that through globalization, most of what is churned out for popular consumption is aimed at an international market, which usually means huge budget action movies, which translates into a relatively limited and narrow range of movies being produced. Then again, it’s a similar issue for me, I enjoy foreign films enough that I can easily find wonderful works of cinematic art without having to worry if the US is generally churning out what may or may not be testosteronic drivel! DC has Opera in the Outfield, a live simulcast of WNO played on the Jumbotron in the baseball stadium. It’s free! They put the synopsis up between acts! They played the Warner Brothers cartoon “The Bunny of Seville” before The Barber of Seville! And the concession stands are open, so you can eat a chili dog while you watch the opera! Still, I wonder – has anyone quantified how much this hurts local music? It’s not clear to me that people who would otherwise pay for tickets to the live performance would decide to just go to the stadium instead. 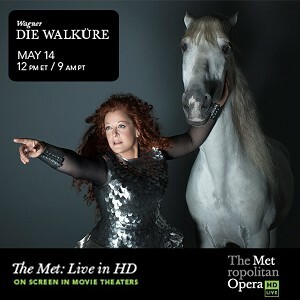 I’d be curious what the audience for the theatrical Met performances is – it’d be nice to think that it’s bringing newcomers to opera, but I suspect it’s mostly people who either already have season tickets for the local opera, or would if they could afford it, who are spending $15 for a ticket (the going rate in Indianapolis for the re-broadcasts) rather than buying an MP3 album. In other words, are the theatrical showings really competing with live performances, in the way that if I eat dinner tonight at this restaurant, I won’t also eat dinner tonight at that restaurant? Or are they competing with DVD and recorded music, in which case having the theatrical broadcasts doesn’t change the overall market for local live music any more than increasing the number of CD releases does? Actually, Google is telling me that ticket sales aren’t enough to fund operas, and that other funding is generally needed. So maybe the economics here are something even more complicated. Productivity Lag. Yes it is more complicated. No large ensemble in America makes more than 60% of their cost by ticket sales. Most make less. That’s why the NYCity Opera has had such a decline in their endowment. They’ve had to eat the seed corn. I suspect that for some folks it might actually make them fans, but for other fence-sitters (especially in hard economic times) if they were otherwise possibly curious, this would be a much cheaper alternative than a live performance. It wouldn’t be any different than the folks who would prefer to go to a sports bar to see their favorite team play on a big screen (or just stay at home with pay-per-view) rather than to a stadium. Some just can’t afford it and others just wouldn’t want to endure the crowd while others like the option of having more control in their lives. And classical music is leading the way: 18% of that audience participated in classical music, more than any other kind of art (Latin music, visual and literary arts followed: 15% each). That’s notable because classical and Latin are thought of as niche genres. These complicated statistics tell us several things. First—and this should be no surprise—classical music consumption is heavily influenced by electronic technologies and media. Audiences have shifted, and will very likely continue to shift, their discretionary time and dollars toward new technologies for listening to classical music. Second and contrary to the critics, younger generations of Americans do seem to be “growing into” a more mature interest in classical music, but they will probably, much more so than their parents, satisfy that interest outside the concert hall. The audience in the symphony concert hall may be aging, in relative terms, but the overall audience for classical music is not.26 Third, the trends revealed by these demographic data have no special relevance to classical music; very similar trends can be found affecting a wide variety of other art forms and entertainments. Having only 3.3 percent of the U.S. recording market, one might argue, is nothing to brag about. Even if there had been no decline in market share, some would see a crisis in the mere fact that classical music holds such a small share of the musical interest of Americans. But this has to be put in context. If market share is any measure of cultural health, the real crisis in American musical culture is in rock-and-roll, which sank from a 41.7 percent share of the market in 1989 to 25.7 percent in 1998. That’s what I call a sustained and precipitous decline. Jazz has lost half its market share, sinking in 10 years from 4.9 percent of the market to a tiny 1.9 percent. Pop and “new age” have lost one-third to one-half of their market shares over this period. Country music has approximately doubled in its share of the music marketplace, but still controls only 14 percent of the market. If there is any very clear trend in the sale of recordings in the U.S., it is a trend toward musical tastes becoming more fragmented and more eclectic. The marketplace for music recordings is now less dominated by any one musical style. In a cultural marketplace of this kind, the remarkable fact is that the audience for classical music has grown along with the general growth of the recording industry. I think, if anything, what we can say is that Classical music seems to be holding its own, if we look past the simplistic barometer of the large organizations as the only measure of the health of the field. But it also proves that the old institutions are being left in the dust. Classical music has the highest participation of any art, and ticket sales are still tanking (as the same data demonstrates)? This is more evidence, say I, that orchestras in particular are going to have to continue to work to expand their role if they want to stay alive in an era that loves classical music more than ever but is happy to pursue it without them. Audiences have broken up with live events precisely because live events are problematic in many ways–they don’t necessarily want the live concert experience and however much we want to argue that it’s “the only way to truly experience Classical Music [or rock shows or Broadway or sports]” audiences aren’t going to change their behavior simply because of what, for them, is an anachronistic way for experiencing something. Yes, Digoweli, folks never seemed to realize that large ensembles have historically never made all their money from ticket sales. The sad thing is, when looking for donors, ticket sales (or lack thereof) can be a good indicator of the health of the organization thereby given them incentive (or disincentive) to donate. And that is what can be fatal to an Orchestra. Once it’s no longer seen as relevant, the jug is up.